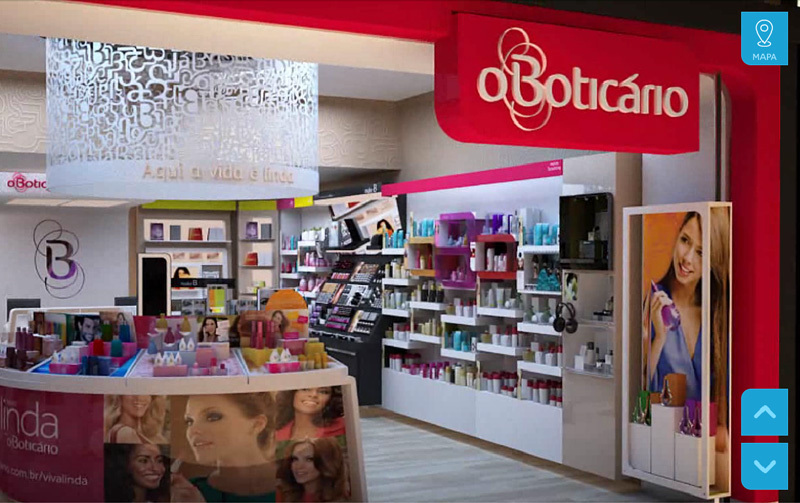 O Boticário has remodeled its stores and has invited Cafundó to help to show their sales team the brand new store. 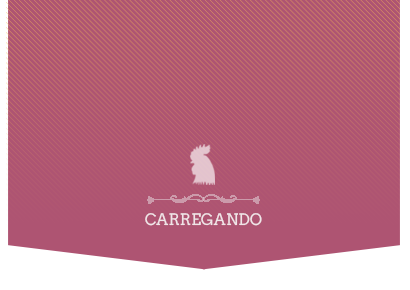 To match a real tour experience, we´ve created a virtual tour app. 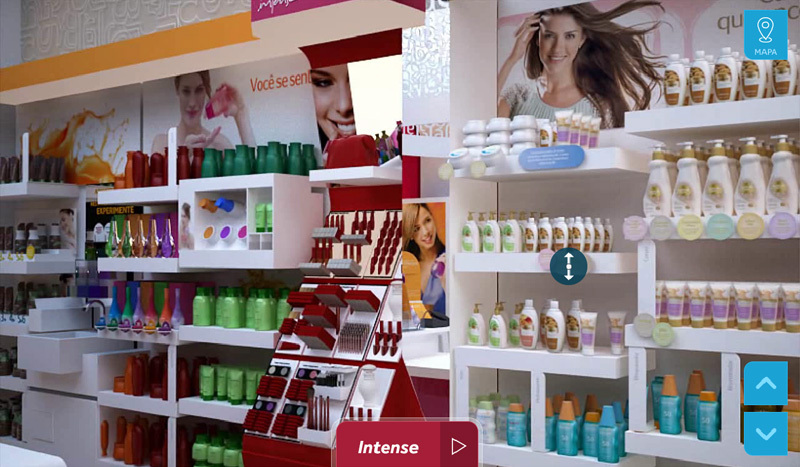 The Prisma Store, as it´s known, is designed to generate experiences. 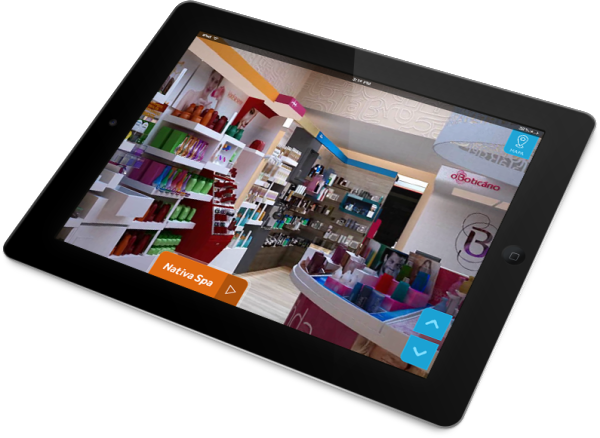 That´s exactly what we sought to do: create an app for tablets so the sales team could walk through the store virtually, to learn how to direct costumer from one place to the other, to get to know more about each product line and to understand the store´s layout. By doing this, every person on the sales force new how to behave as soon as the stores where ready! Besides the virtual tour, the sales team had several tips about the products, how to sell better and engage the buyers. 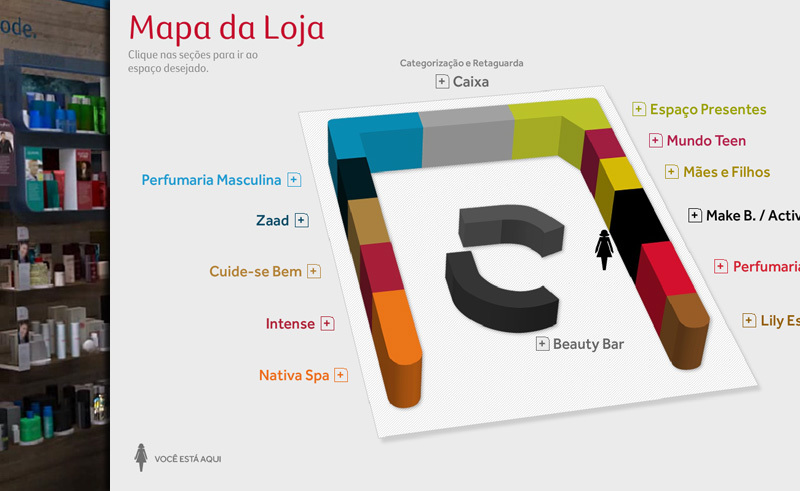 Every content is intuitive and has videos made with a specialist advisor from Boticário. This way it´s easy to engage the costumers!